THE Bruce Highway south of Gympie has been re-opened in both directions with diversions through the Mary Valley Link Road. An update posted on the council's website at 7.30am said motorists should still exercise caution with the diversion over the Normanby bridge. Roads around Gympie are being re-opened but authorities are pleading with people not to drive in flooded areas. 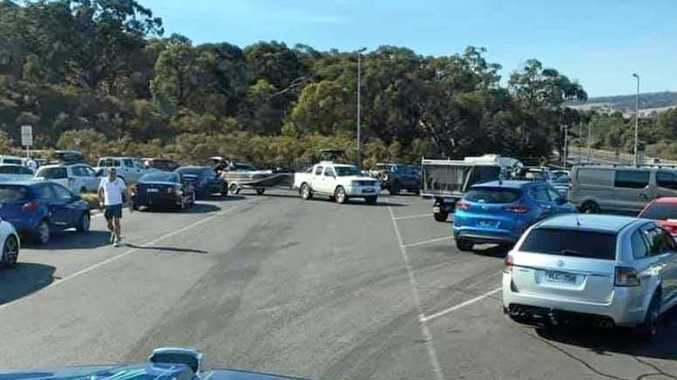 Gympie's mayor Cr Ron Dyne has also warned there will be a lot of heavy vehicle traffic with the clean-up operation and the council did not want sightseers. Authorities are still urging residents to minimise traffic where possible. Residents who wish to report unsafe road conditions are asked to phone the council on 1300 307 800. News TRUCKING is a hard enough already without having to stress about where you're going to park for the night when others decide to park where they shouldn't. Motoring Do you know the answer to this highway scenario? News It is unknown if anyone was hurt in the crash.